Last night was spent playing harp (harmonica) with The Journeymen in the Club Faroense in Faro. Late, joyful and fun. Then went to sleep in the back of a van on top of the amplifiers and woke up in Spain in the early hours. 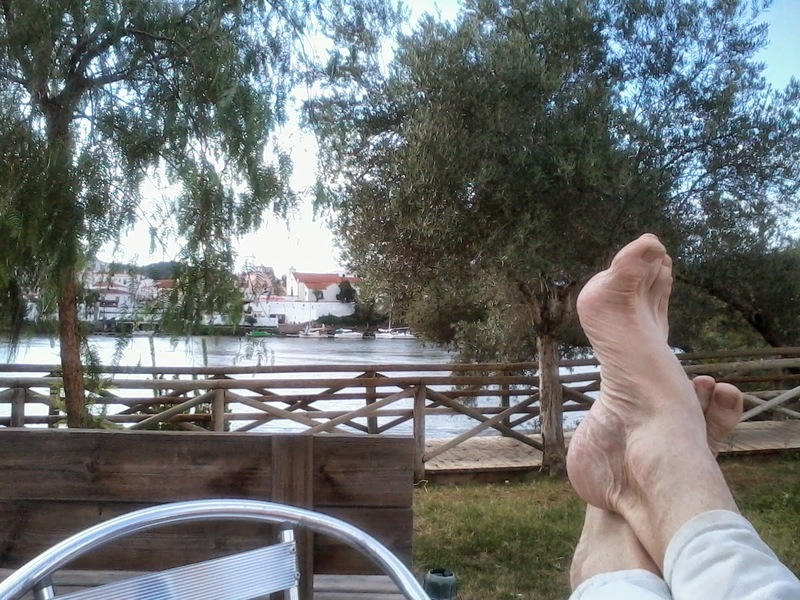 And here I am in the sun on the Guadiana River, on my way to Germany - honestly - to start the wintery walk from Munich to Paris. Flight on Wednesday morning, first steps of the 500 miles around midnight the same day.